Sir John Soane Museum – house of horror or home of the muses? ‘Give light and people will find the way.’ This powerful quote by Ella Baker has become a mantra for passionate civil and human rights activists around the world. If we had to adjust Baker’s words to the curatorial practice they would sound something like: ‘Give light and people will find the way to truly see, feel and understand art.’ The creative, yet rational use of light makes up half of what is required for a good exhibition. Light is a magical ingredient, it smoothes the communication between the art and the spectator, while boosting the viewer’s perception and understanding for the works. Sir John Soane Museum is definitely one of these peculiar exhibit spaces where the absence of light challenges the curatorial profession, and its narrow use of light is one aspect worth focusing on, as its fundamental value to a viewer’s experience is vacant, and puts the museum at a disadvantage. Upon entering the house, the observers pauses their journey, look around the obscure rooms, and are overwhelmed. This is not a regular exhibition place, but rather a mystical tomb or a house of horrors. A few flickering candles, furniture seemingly missing in places, and the ticking of old clocks hold the secret of the glorious past this space had. In places the uniform obscurity is interrupted by impotent rays of light, which penetrate from the misty ceiling windows; a futile attempt to illuminate the space. What is left today of Sir John Soane’s house is grim, and cryptic, absent of vividness. The dim atmosphere in the halls is exaggerated by the nature of the building and its architecture. It also hints at a potential desire to a different approach to display. However, the outcome fails to captivate the viewer. This lack of light restricts the exhibition from unfolding, taking away a lot of the freedom, which the observer might have enjoyed, to consume and cherish the presented works of art. In fact, the art lover can hardly see any of the pieces. One can make an argument that the purpose of the exhibit is to leave the viewers unfulfilled. Yet, there is a fine line. 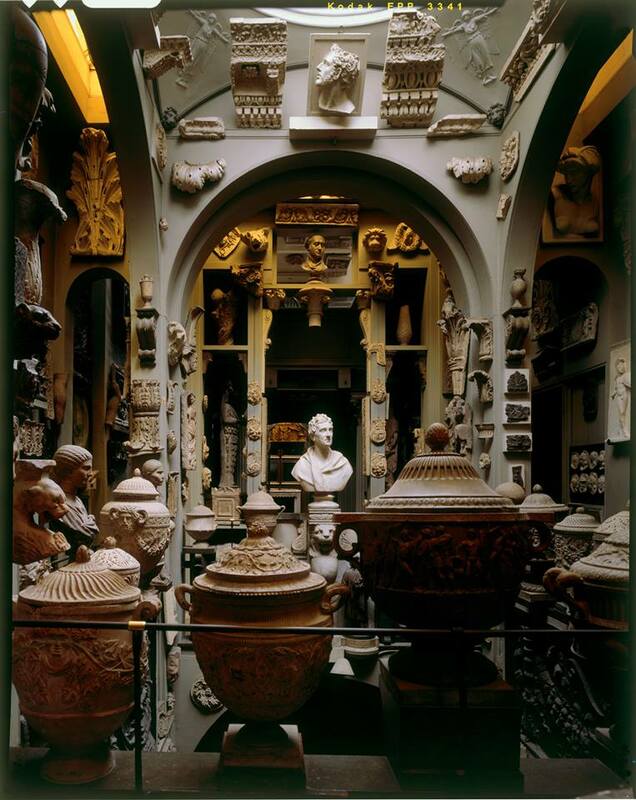 The notion that limited light can enhance the experience, seems to be abused to an extent of no return, and instead of enjoying a home of the muses, the viewers leave Soane Museum with guilt, because they might have not grasped entirely the beauty of the displayed.